Bill Affirms Tribe's Reservation Rights. Bipartisan group of federal lawmakers pushes legislation to forever protect Mashpee Wampanaog Tribe's land-in-trust. When Cecilia “Kima” King, a Mashpee Wampanoag tribal citizen, first learned she could become a certified yoga instructor, she thought about how many of her fellow tribe members she could help. “I just remember thinking, ‘I am so excited,’” King said. She received her yoga certificate from Diane Kovanda in Centerville several years ago, and recently started teaching classes at the Mashpee Wampanoag Tribe Community and Government Center in January. Kovanda, who’s been teaching yoga for more than 25 years, is the founder and director of training at the Kind School Yoga, and a force for spreading the practice of yoga across Cape Cod. The Indian Education Department in coordination with the Mashpee Wampanoag Museum and the Waquoit Bay National Estuarine Research Reserve have organized daily activities during April School Vacation. 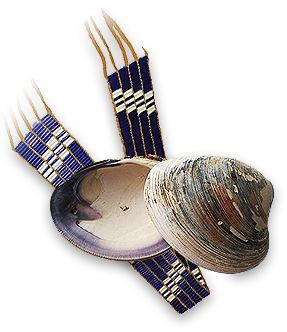 From April 16 to April 20 tribal students in grades 1-6 may participate in activities that will be held at the Mashpee Wampanoag Community and Government Center, the Mashpee Wampanoag Museum and the Waquoit Bay National Estuarine Research Reserve.